That’s 2 skirts I hadn’t counted, that will make Carolyn feel better! Yes there are also 2 pairs of trousers, 2 jackets and 4 tops! I have come to realise that despite my efforts to have a Capsule Wardrobe I have a clothing problem! The fact that I am buying nothing new, being part of the Love What You Wear Project has just given me the perfect excuse to buy more clothes from the charity shop. Project 333 is all to do with living with less and how that can improve our lives, not having to think about what to wear each morning, because you have already decided on the 33 items you will wear. This is in line with my aim to achieve a Capsule Wardrobe. The idea is that it frees you up to think about more important things. This is a completely different approach to the Love What you Wear Project which is about not buying new and instead thinking about what you need and turning to charity shops and sewing for yourself. Can I work with both or do you think it should be one or the other? 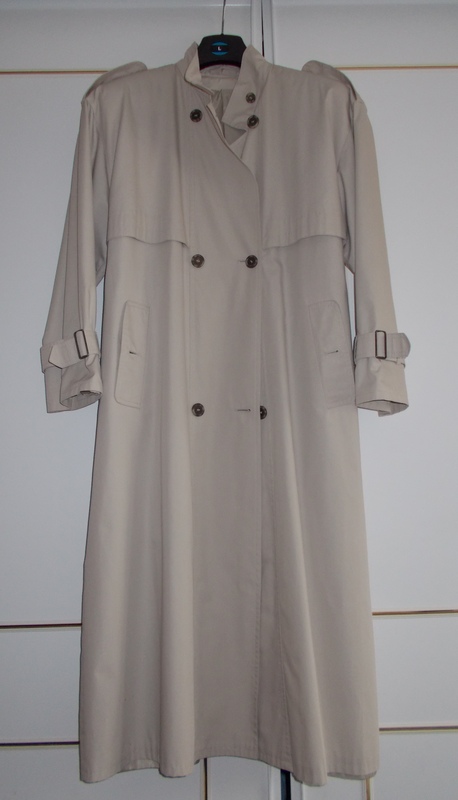 Now talking of charity shop purchases…..I got a lovely Mac for £3.50 It’s going to need altering….. I think you could do both – but then the limit is only buying/sewing what you need in order to complete your capsule. 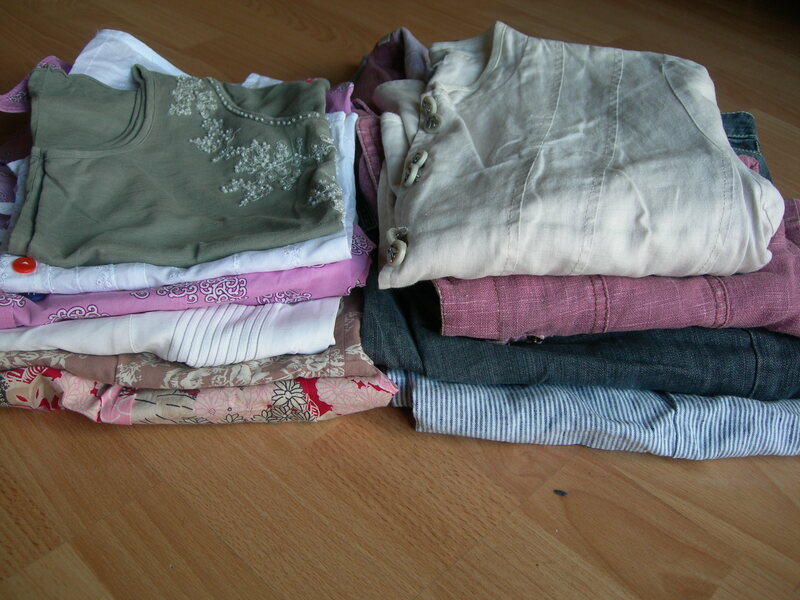 So hard though – thrifts and charity shops are filled with such great deals both on fabric and clothes, how do you stop?